As the global marketing leader in the IoT Division at SAS, Michele is an evangelist for artificial intelligence and the Internet of Things, promoting the importance of a robust analytics lifecycle to drive valuable outcomes in IoT initiatives across industries. Michele and her team play an important role in growing SAS in the world of IoT. She is focused on collaborating with the commercial business development team to identify, further develop, and amplify strategic partnerships. She works closely with customers and partners to understand market requirements and then works in conjunction with product management and R&D to ensure technology and solutions meet key market needs and will help drive business value. Michele enjoys being an active member of leading IoT consortiums including the Industrial Internet Consortium, the IoT Community and RIoT. After graduating from the University of Virginia, Michele began her journey in the technology field, which has spanned nearly 20 years. 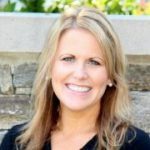 Prior to joining SAS in 2014, Michele held various roles during her tenure at IBM including product management, product marketing and program management.